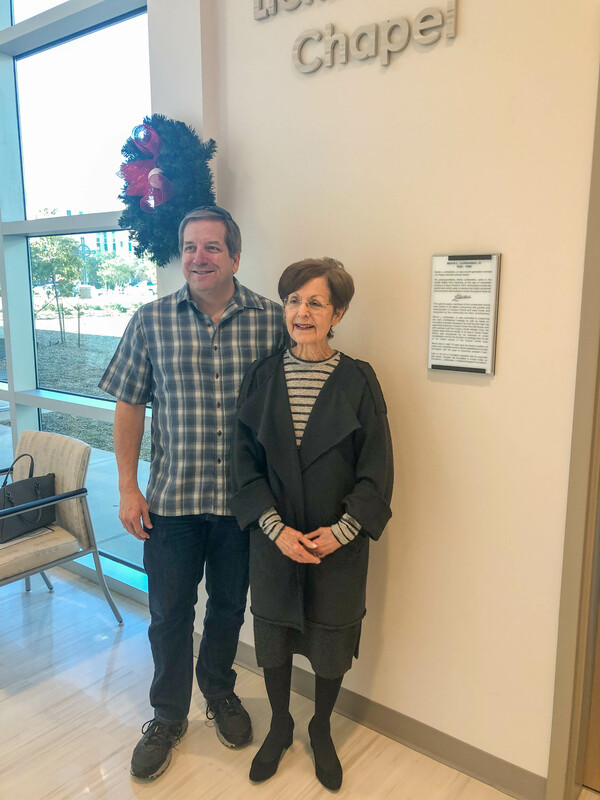 On December 21, 2018, The Morris L. Lichtenstein, Jr. Medical Research Foundation Trustees gathered at the Dr. Hector P. Garcia Memorial Family Health Center for the plaque installation honoring their Foundation’s generous gift to the chapel now named the Lichtenstein Chapel. The Lichtenstein Chapel is named after Morris L. Lichtenstein, Jr., a man who was committed to improving the lives of those most in need. After Marcia Marks, Vice President of Morris L. Lichtenstein, Jr. Medical Research Foundation, and Foundation Trustees toured the state-of-the-art 43,000 square-foot facility, Mrs. Marks stated that they all felt that supporting the Dr. Hector P. Garcia Memorial Family Health Center and the Chapel would be representative of a choice that Morris Lichtenstein, Jr. would have made. The chapel is a serene and calming space featuring work by artist Mercedes Flores-McCoy who was commissioned to create two paintings featuring Dr. Hector P. Garcia. Frequently, patients and family visit this tranquil space and leave their petitions to receive blessings from Father Silas or Father Kizito.